Industrial sugar costs will rise if the UK leaves the EU without a deal on 28 March, as a result of a new post-Brexit tariff regime announced by Government. Industrial sugar customers across sectors such as food and beverage, pharmaceuticals, brewing and baking are facing an increase in the cost of some raw materials if the UK leaves the EU on 28 March without a deal. On 13 March, the Government has published its new tariffs, The Customs Tariff (Establishment) (EU Exit) Regulations, potentially leaving only two weeks for businesses to prepare for the prices changes. And the tariffs are likely to remain in place for only one year, possibly resulting in another tariff and price change end-March 2020. The new €150/t levy on imported white refined sugar for direct consumption, applied because the UK is a deficit sugar market requiring approximately 250,000 tonnes of sugar imports each year, will increase industrial sugar processing costs. A price increase of this magnitude, which could turn into an annual £37.5m cost rise across the industry, cannot be absorbed by the supply chain, so will be passed on to sugar buyers. This will result in a minimum increase of €150/t for white sugar imported from EU countries. However, as I write this, MPs have decided that leaving with no deal is not an option and the prospect of an extension is looking possible, adding to uncertainty. An extension could mean this latest tariff notice is irrelevant, but it may be a good indication of what trade negotiators will be seeking out of future trade deals. What will be the sugar import tariffs post a no deal Brexit? Should the UK leave on 29 March without a deal, and day-by-day the outcome is looking increasingly unlikely, the new tariffs and resulting price changes will apply after 28 March. The UK would continue trade preference agreements with LDC/LPAs that have existing EU trade agreements. Who will pay for the sugar tariff increases? In conclusion, the import of white refined sugar to supply the deficit UK market, which is approximately 250,000 tonnes, will go up by €150/t, if imported from the EU, but reduce to €150/t if imported from outside the EU. Realistically, though, this sugar will come from within the EU. The consequence of this will be that the UK supply chain won’t absorb the resulting additional £37.5m cost of this sugar coming from the EU. As a result, the UK white sugar market price is likely to increase by a minimum €100/t post-Brexit. Post-Brexit tariff-free deals with non-EU countries should reduce UK sugar prices and help calm a volatile market. But only if markets function properly. Why is the UK sugar price so volatile? Sugar prices in the UK when buying in sterling fluctuate extensively. For example, over the last 12 months, for some buyers the price of sugar in the UK has changed by 35%. 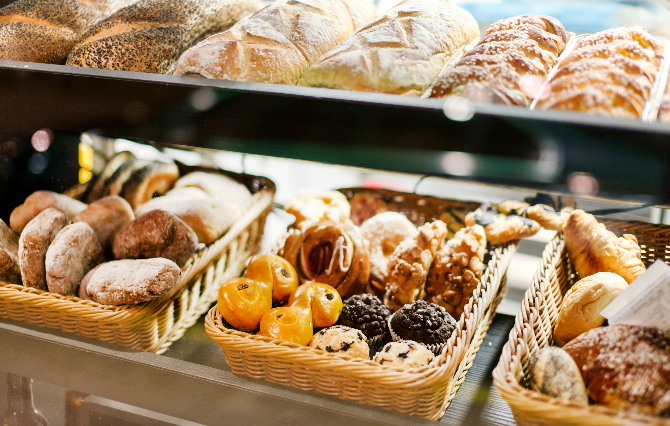 A 35% increase in raw materials costs is a huge deal for our customers, such as brewers, bakers, confectioners, food and beverage producers and pharmaceutical companies. Sugar is bought and sold within the EU using euros. So, if you are buying in sterling from a euro supplier, the UK price volatility is driven by the euro-sterling currency fluctuations, known as the Unofficial Sugar Conversion Rate, or USCR. The USCR can change every 14 days, depending on underlying exchange rates. 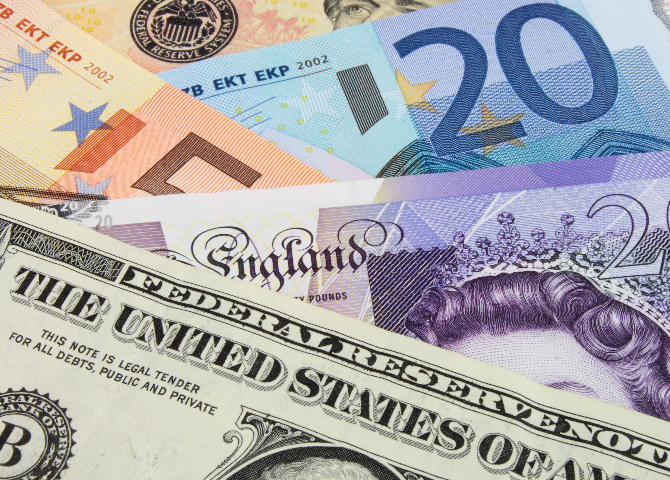 If the euro-sterling exchange rate is more than 1% different when compared to the rate two week’s previously, the USCR will change. UK sugar buyers must then add another €20 per tonne to ship sugar across the Channel – UK prices are always higher than those in continental Europe. In addition, UK buyers and end consumers pay more for sugar cane derived products because of EU tariffs, as I’ve discussed previously. What can reduce sugar price volatility? There are dozens of sugar cane producing nations outside of Europe – 80% of world sugar production is by sugar cane producing nations. Theoretically, so many suppliers spread geographically around the world manages risk, as the chances of massive under or over supply are reduced. This level of competition should keep prices down. This is only in theory. There are, in fact, only two major producing nations: Brazil and India. 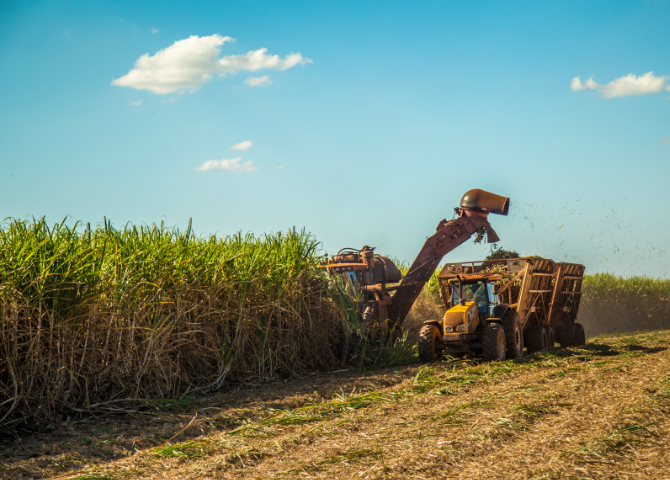 Nearly half of all sugar production in Brazil ends up being used for ethanol production to fuel vehicles. India is the largest consumer, so if domestic production is poor, then India not only won’t export, but may well buy up surplus global production. The unique features of these two largest players impact significantly on global sugar market prices and price volatility. Why has UK sugar cane consumption declined in the last decade? Because of our history and our existing close ties with many commonwealth nations that are also sugar cane producers, the UK is Europe’s largest consumer of sugar cane derived sugar products. Approximately 25%, or 450,000 tonnes each year, of the sugar we consume is from sugar cane. Before 2006, the ratio of UK sugar beet consumption versus sugar cane was 50:50, so we imported over a million tonnes of sugar cane each year for UK consumption. Then, in 2006, the EU introduced a 36% cut in prices paid to sugar producers generally, cane and beet. The result of this was huge investment by European sugar beet farmers to improve productivity and output. This massive increase in EU grown tariff-free sugar beet has meant that sugar cane imports have declined. 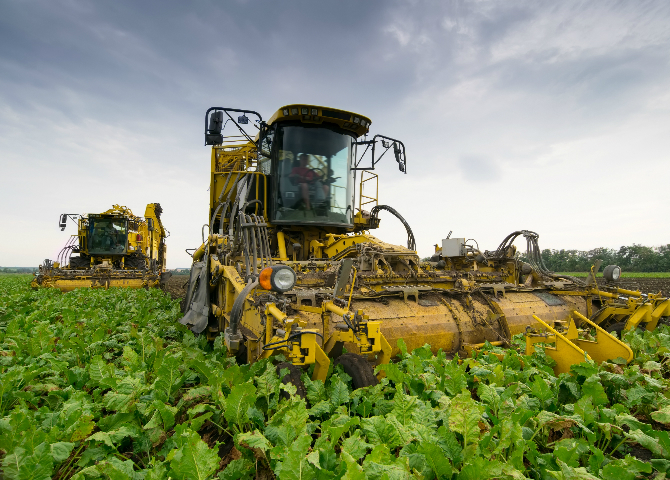 As I highlighted in my previous blog, How will a no deal hard Brexit affect the UK sugar industry?, if the UK leaves the EU without a deal, or a deal which enables the UK to negotiate its own trade deals with non-EU sugar producers, we should have access to global markets and not be so reliant on the EU’s sugar beet production. But, as you’ve seen so far, the global sugar market is not quite so simple. In a perfect post-Brexit world, the UK can negotiate trade deals with sugar cane producing countries with low or no tariffs. 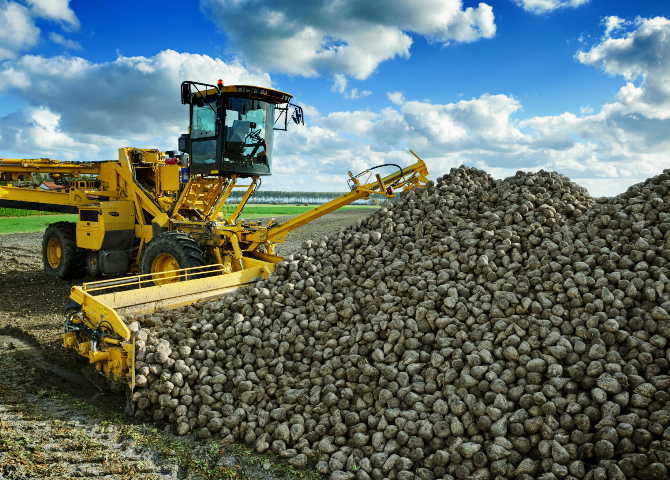 These multiple sources of supply should result in low and stable prices to fill the gap between the UK’s domestic sugar beet supply for white sugar, currently 1.4m tonnes, and current domestic demand of 2m tonnes. Trade deals should also drive down the current cost of sugar cane imports, artificially elevated because of EU tariffs. But the UK’s sugar market functions as an oligopoly, which means there is limited competition because there are only a small number of refiners. Two to be precise: one sugar beet refiner dominating the market and one that imports sugar cane for refining into white sugar. Naturally, businesses don’t want prices to go down, and, with so few producers, it is possible for a dominant supplier to effectively dictate sugar prices, whatever deals and fixed prices we negotiate with non-EU sugar producers. As a result, we are unlikely to experience the full benefits of a post-Brexit world in which we can import tariff-free sugar. What happens if the UK does a tariff-free Brexit deal with the EU? Should the UK negotiate a deal that includes remaining in the customs union and single market, little is likely to change. That’s because the UK will continue to take its sugar supplies mainly from domestic sugar beet production and it is reasonable to assume low or no tariff sugar beet imported from the EU. Sugar cane will continue to be imported but will remain subject to some form of tariffs, quite possibly the same levels of between €90 and €419 per tonne currently in force. The benefits of global tariff-free sourcing from multiple suppliers won’t be realised and the price-volatile USCR will remain. Back in the early 1990s, we used to set our prices for our customers annually, as the sugar market was relatively stable. Whatever the outcome for sugar post-Brexit, that’s a market state we’d like to see returning so our customers don’t experience huge fluctuations in raw material costs during the year. Such a situation may be possible if the UK can negotiate the right Brexit deal followed-up by free-trade agreements with sugar cane producing nations. For more sugar market insights and expert commentary, follow us on LinkedIn, Twitter and Facebook.